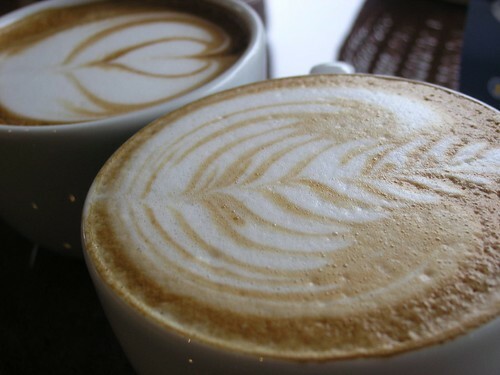 'Latte Art' is the term used to discribe patterns baristi make on espresso based coffees using properly textured milk. A barista who can demonstrate these skills has gone a long way to mastering the arts of espresso coffee production and you can almost always guarantee a pretty good cup of coffee from them. My main thrust as a barista trainer has always been is to get as many people as I can to showcase the coffee they work with to its potential and not to let all the other people before them in the coffee chain down.